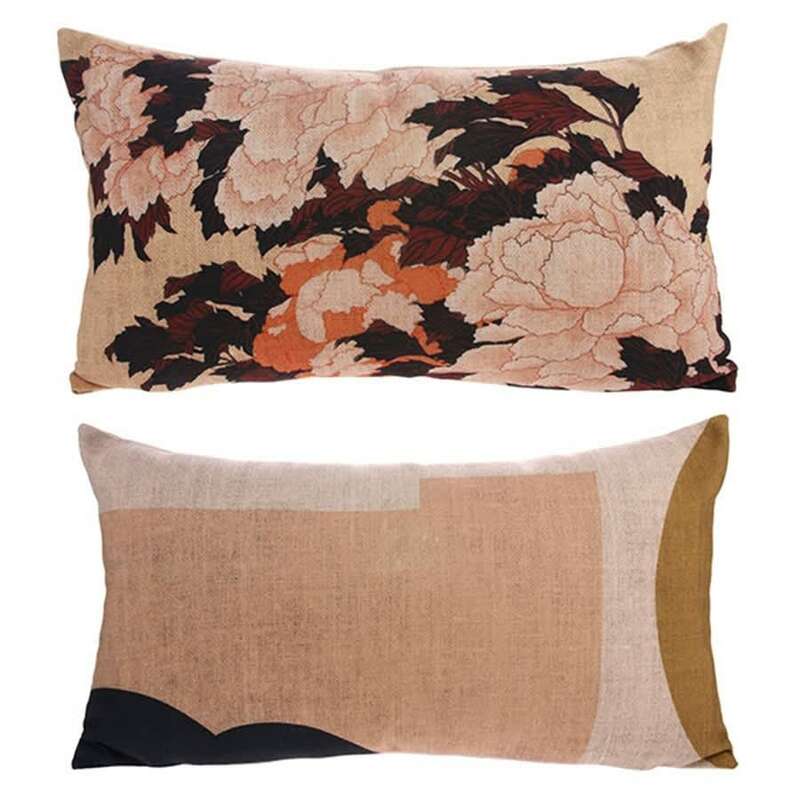 Printed cushion inspired by Japanese influences, by Danish brand HK Living. The pillow has a floral print on the front and an abstract print on the back. With a brass zipper, this is 100% recycled PET material.